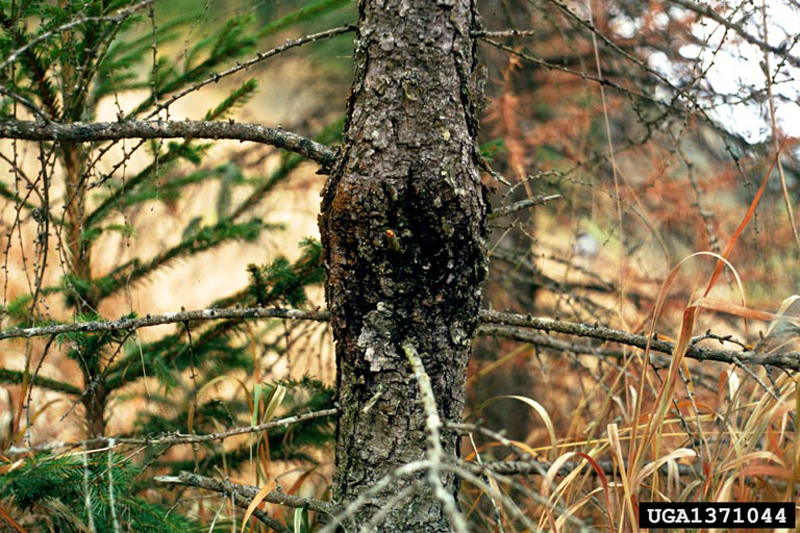 As the name of this disease suggests, the fungal pathogen (Lachnellula willkommii) that is the responsible agent for this disease causes large numbers of cankers to form on the branches and trunks of infected trees. The appearance of cankered areas is the first sign of the disease. Seedlings and young trees are killed through girdling, ie, the cambium around the circumference of the trunk or main branch is damaged. 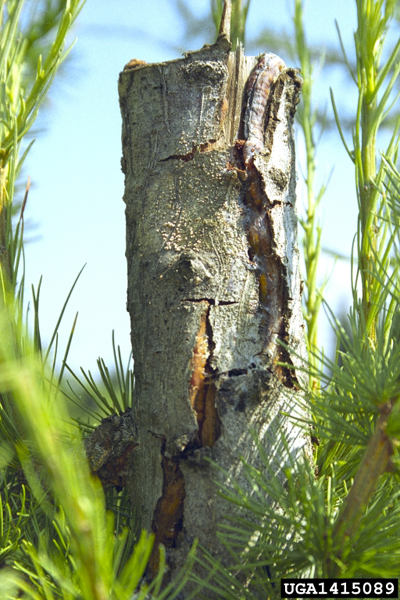 Initially, the cankers, which are caused by lesions of the cambium and result from a scarring process, appear as swellings on the smaller branches or as depressions in the larger branches. 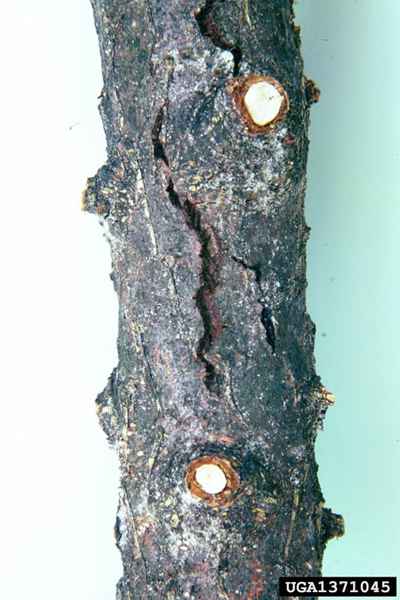 The cankers are accompanied by exudations of resin, which can become very abundant. This gives the cankers a shiny, slightly bluish appearance. 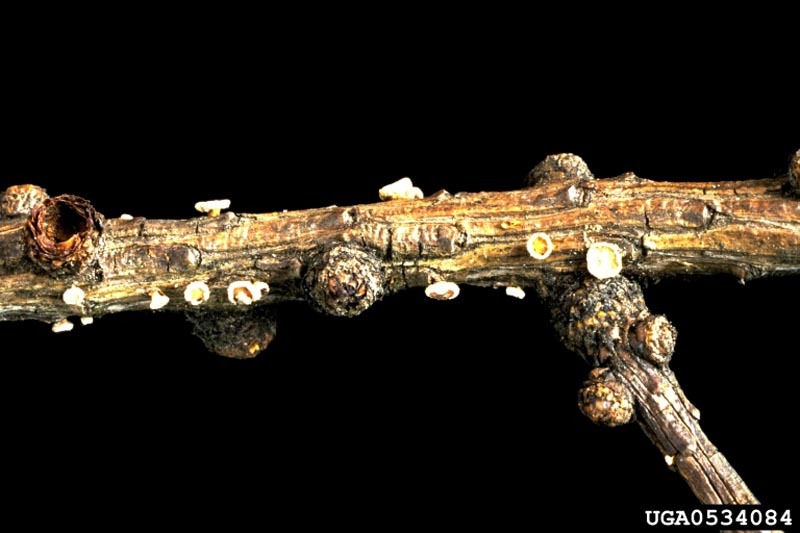 In addition, during certain periods of the year, fruiting bodies of the fungus appear on or near the cankers. They are white and hairy and resemble small cups with yellow orange centres. Larch needles on the small stems or branches above the cankers wither in the spring or become discoloured early in the fall. The presence of cankers on the trunk is usually a sign that the disease is in an advanced stage. This is accompanied by a significant loss of foliage. The fungus causing this disease was introduced from Europe on infected seedlings. It was observed for the first time in North America in Massachusetts in 1927 in a European larch plantation. It was detected in Canada in 1980 in the Maritimes, particularly in southern New Brunswick and central Nova Scotia. More recently (1992), it was discovered on Prince Edward Island. 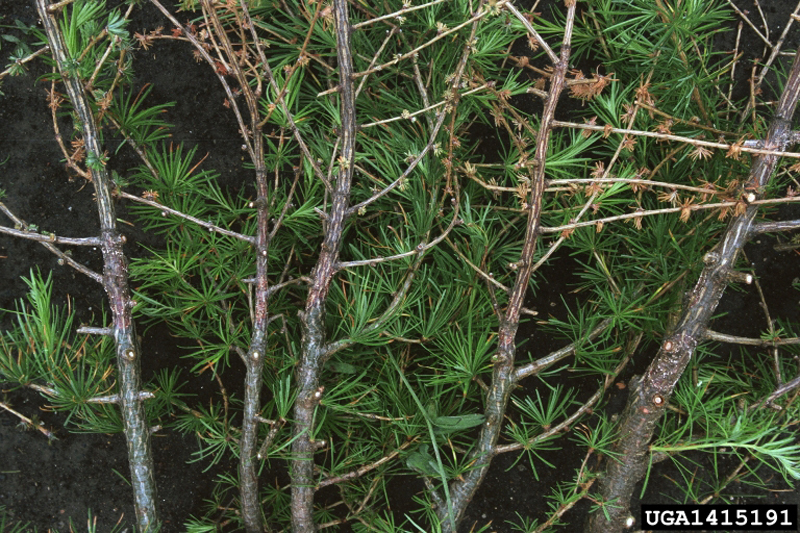 In Canada, this disease is particularly harmful to an indigenous species, the tamarack, killing both young and mature trees. It should be noted that cankers, which resemble open sores and cannot block the spread of the parasite, are themselves ports of entry for other pathogens.